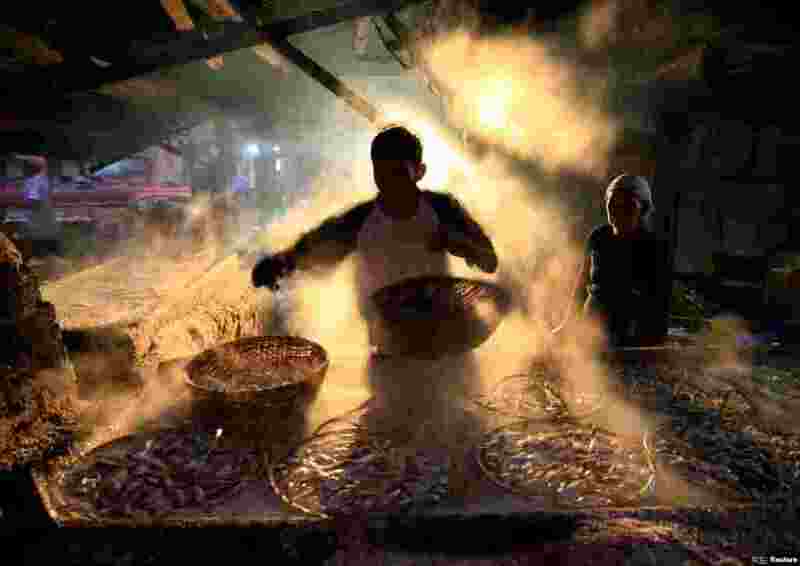 5 A worker is seen marinating fish at Cilincing district in Jakarta, Indonesia. 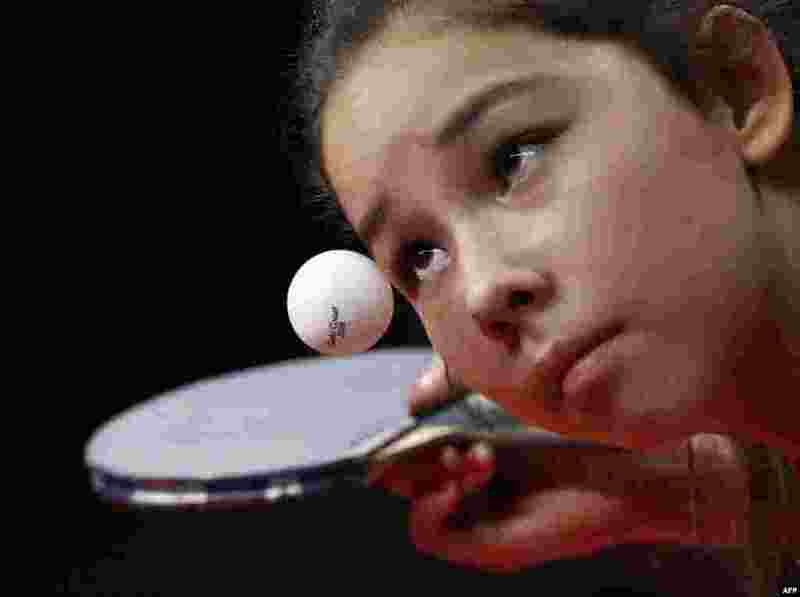 6 Wales' Anna Hursey serves during the women's team group game against Sri Lanka during the 2018 Gold Coast Commonwealth Games at the Oxenford Studios venue in Gold Coast. 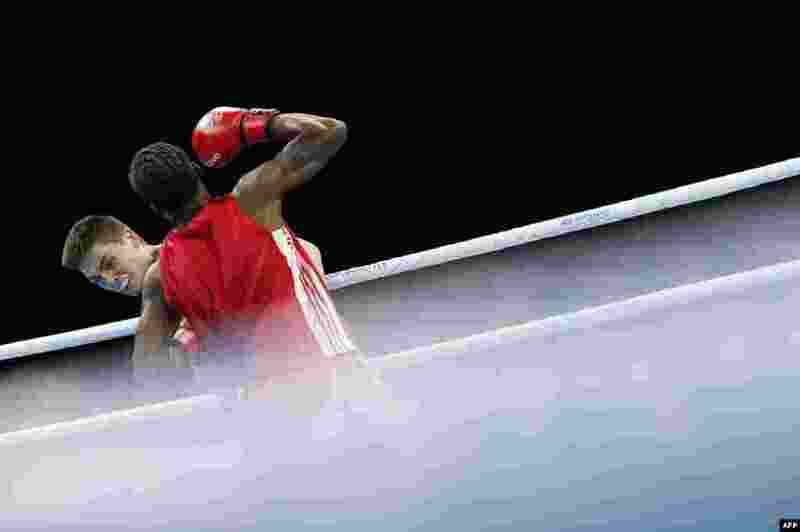 7 Grenada's Joshua Redhead (right) lands a punch against Australia's Campbell Somerville (left) during the men's middleweight (75kg) preliminary fight during the 2018 Gold Coast Commonwealth Games at Oxenford Studios venue in Gold Coast. 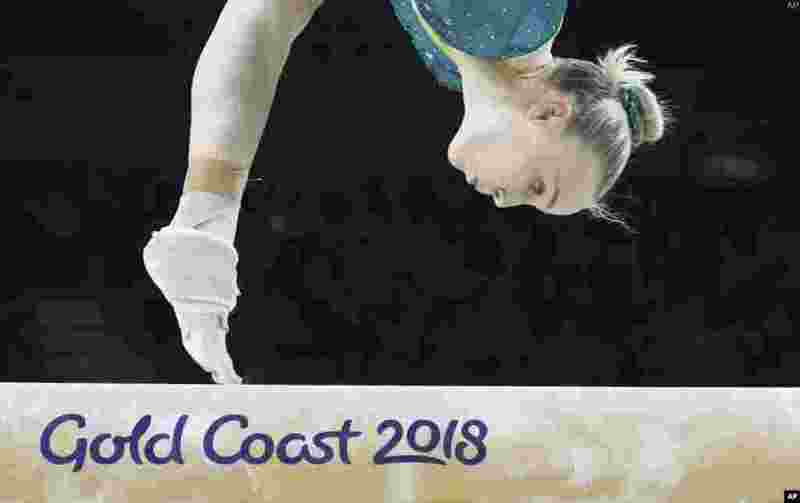 8 Australia's Emily Whitehead competes on the balance beam during the women's team artistic gymnastics finals at the Commonwealth Games on the Gold Coast, Australia.